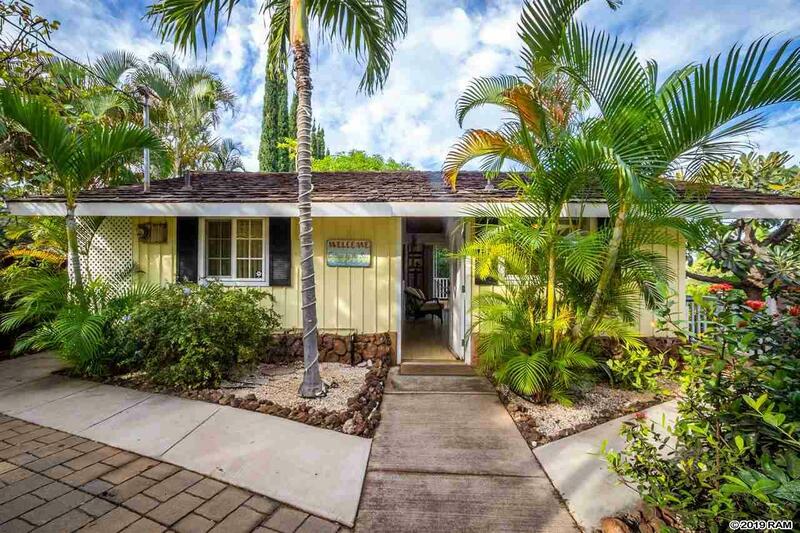 A Maui tropical retreat! 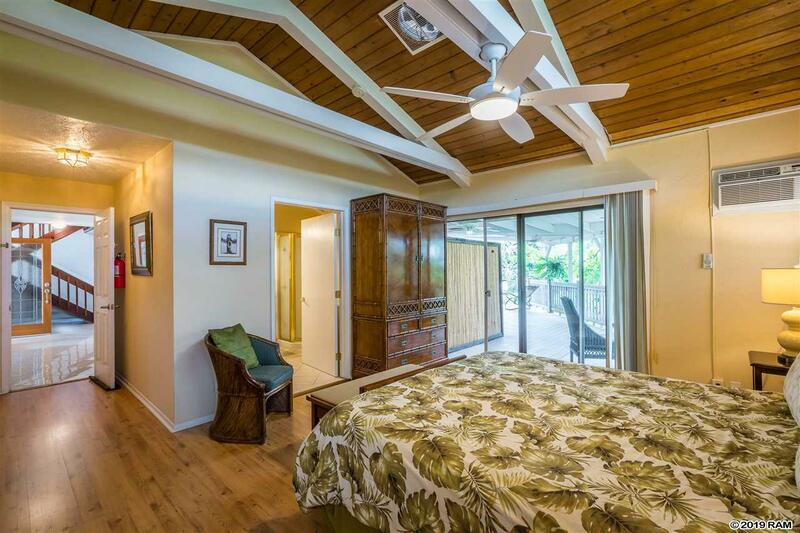 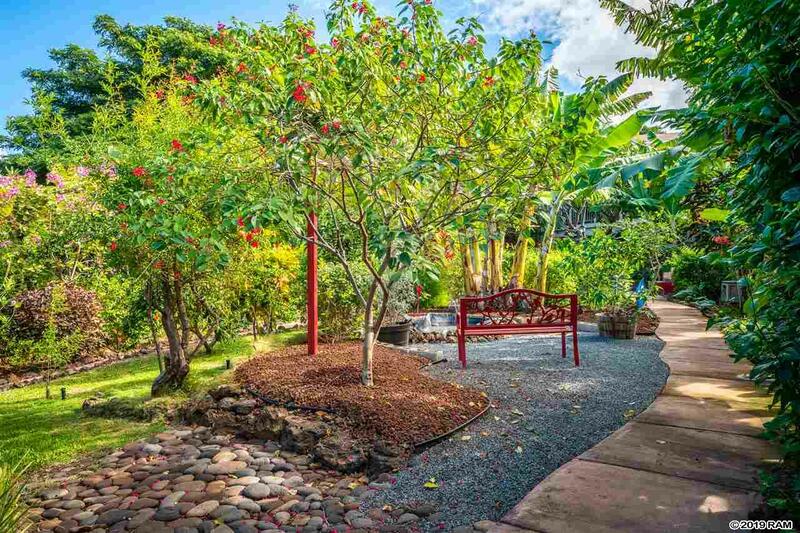 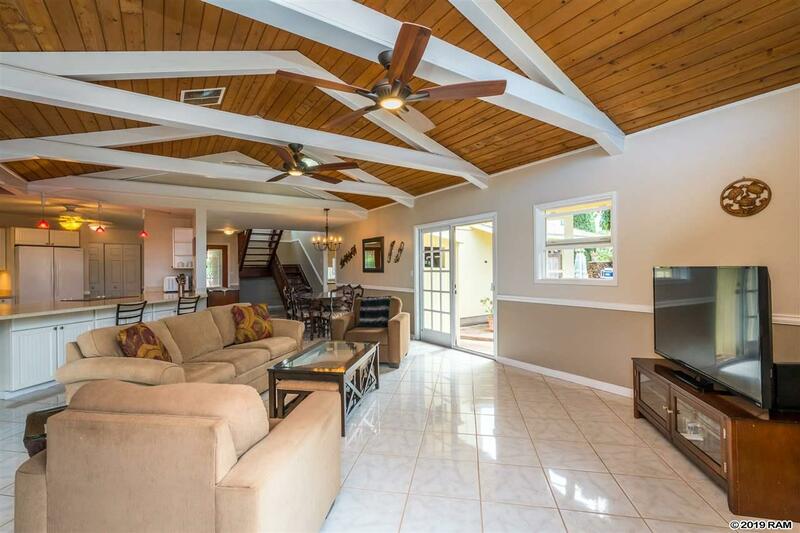 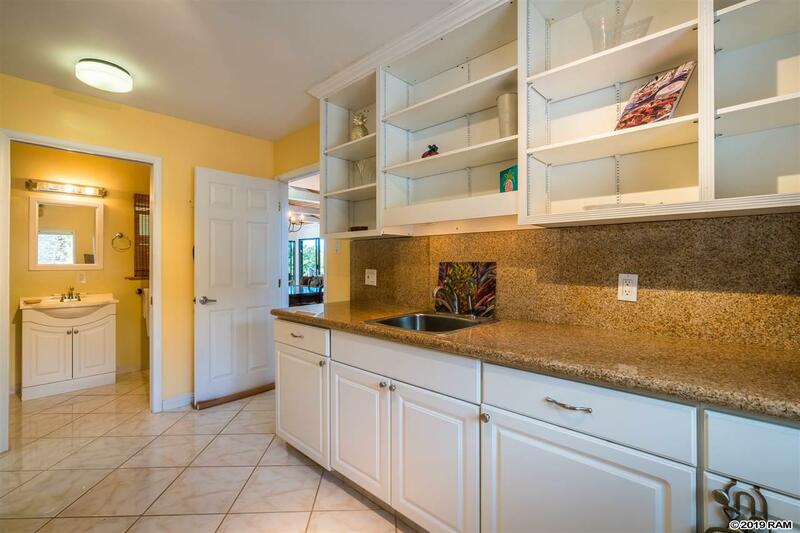 This private Maui Meadows home and cottage sits on over a half acre that is surrounded by lush gardens, tropical flowers, fruit trees, pathways and water features. 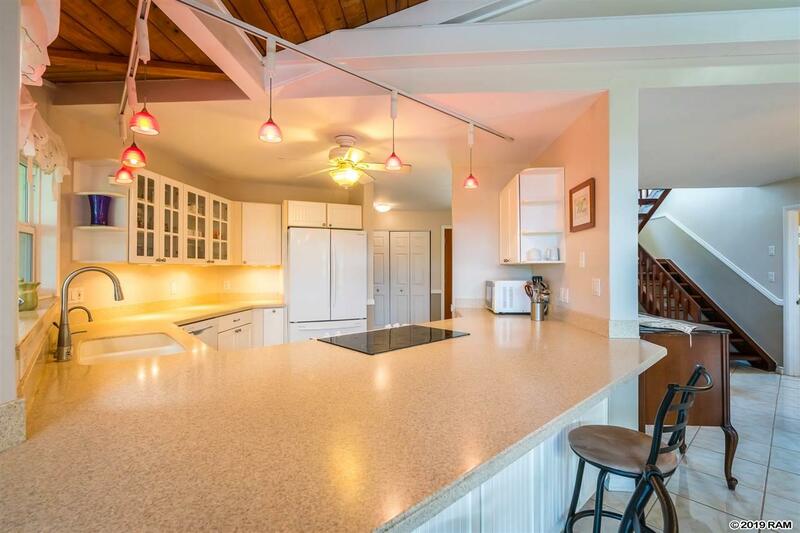 The main home is a 4 bedroom, 3 bath with 2 master suites (both with separate entrances) and a finished basement studio. 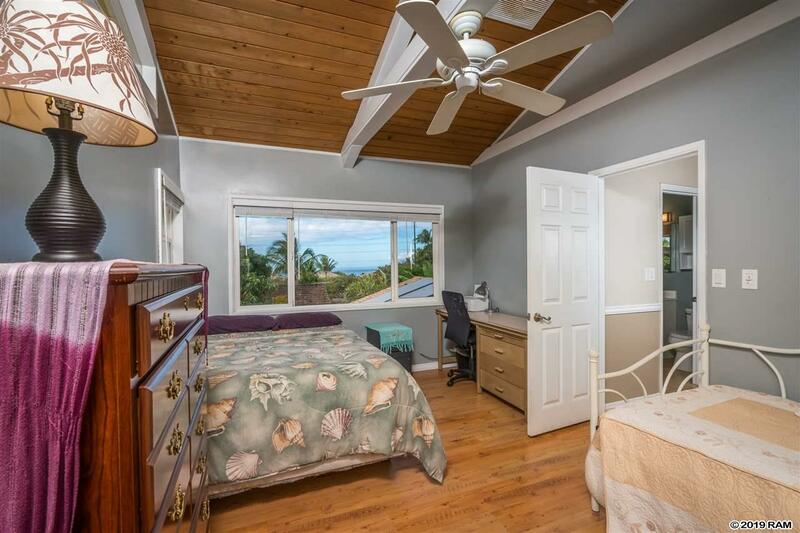 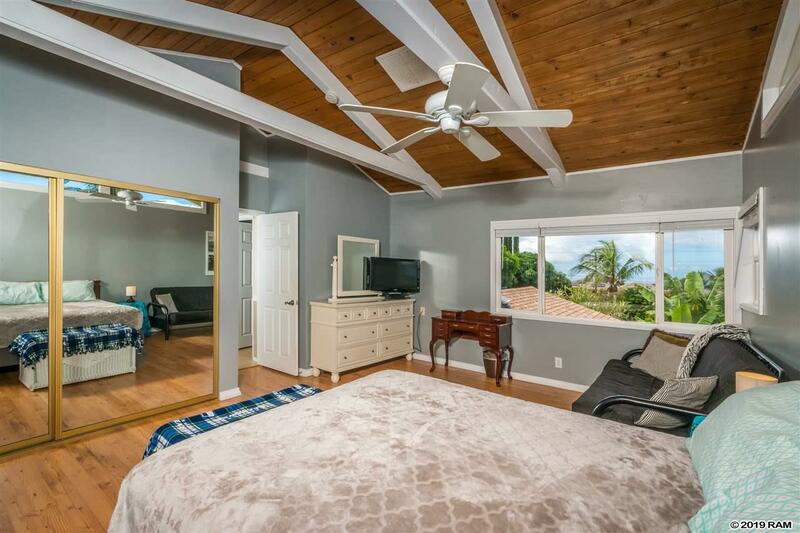 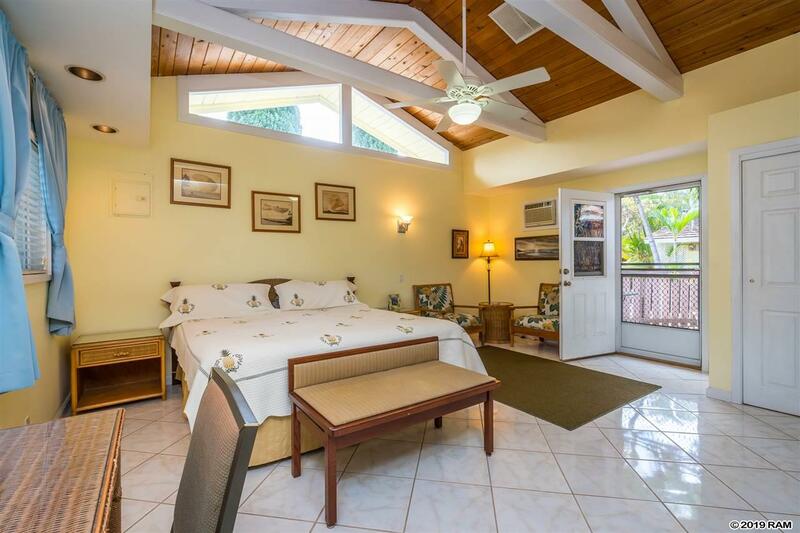 Upstairs bedrooms overlook the expansive backyard and ocean views. 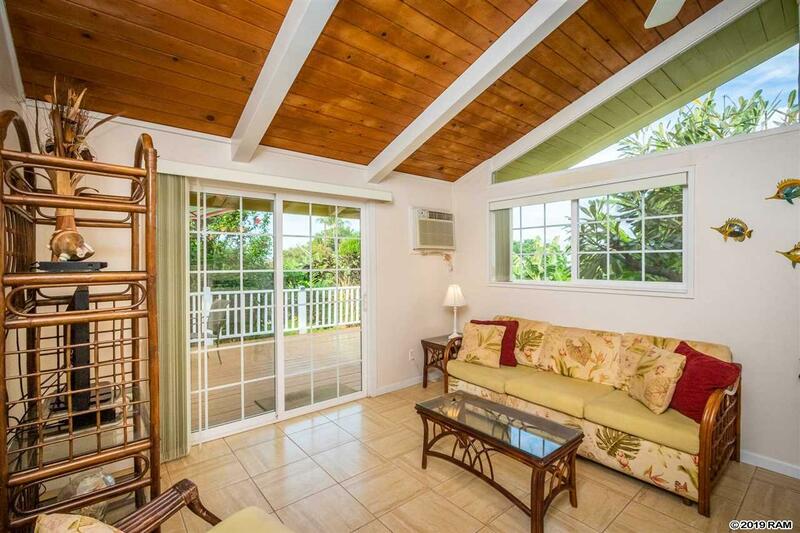 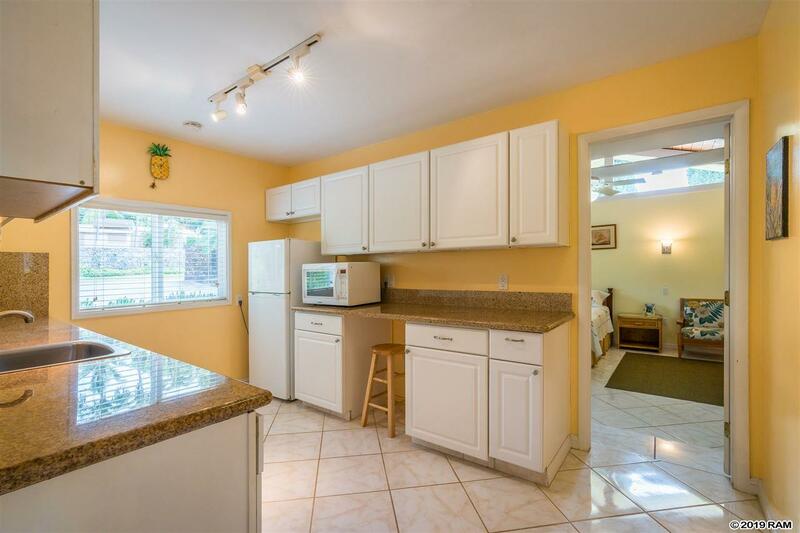 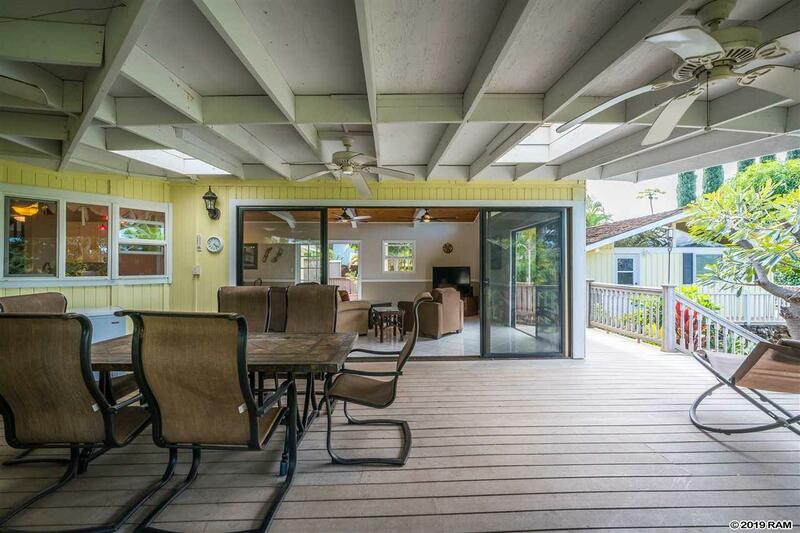 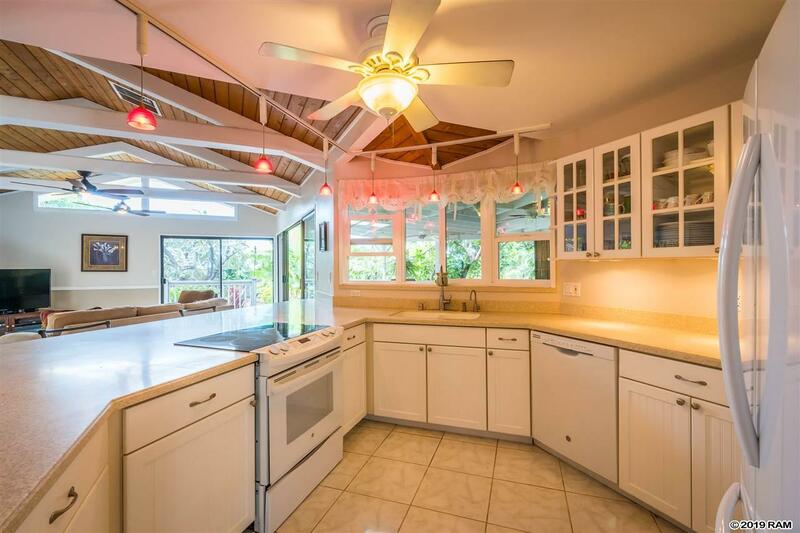 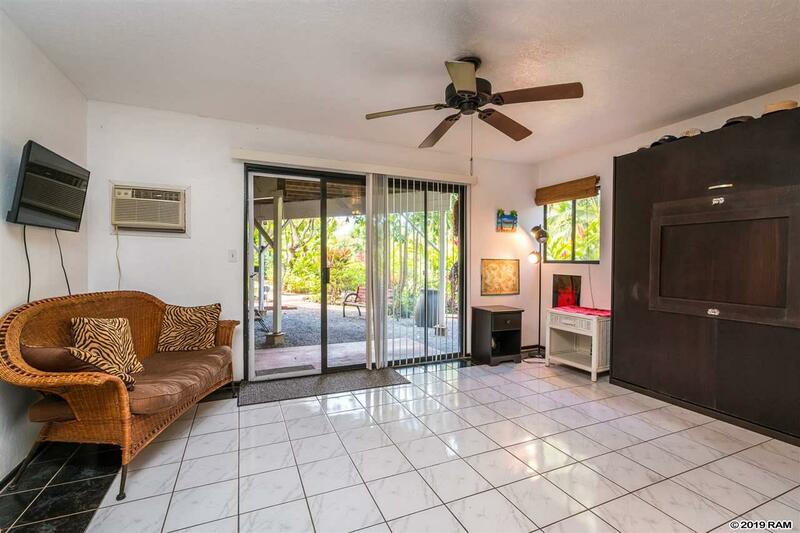 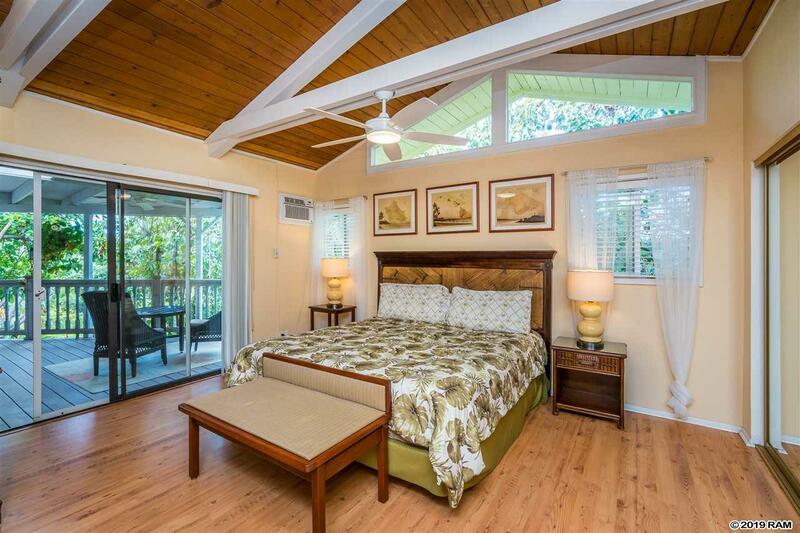 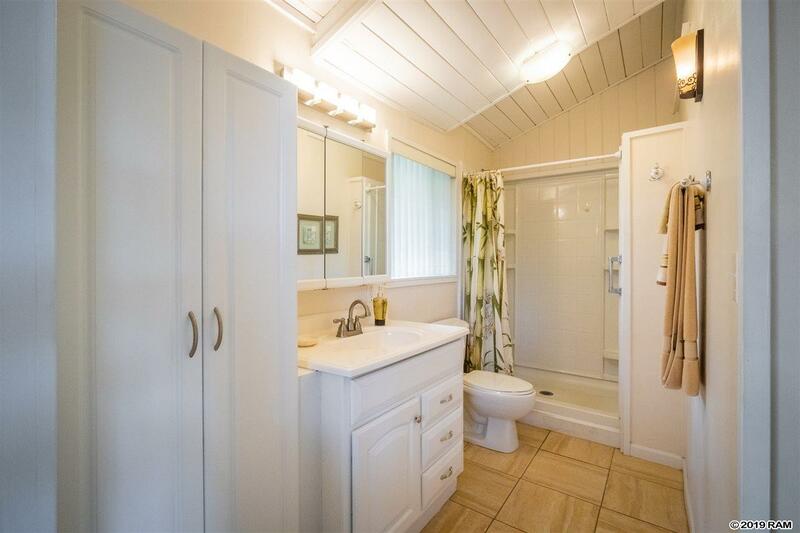 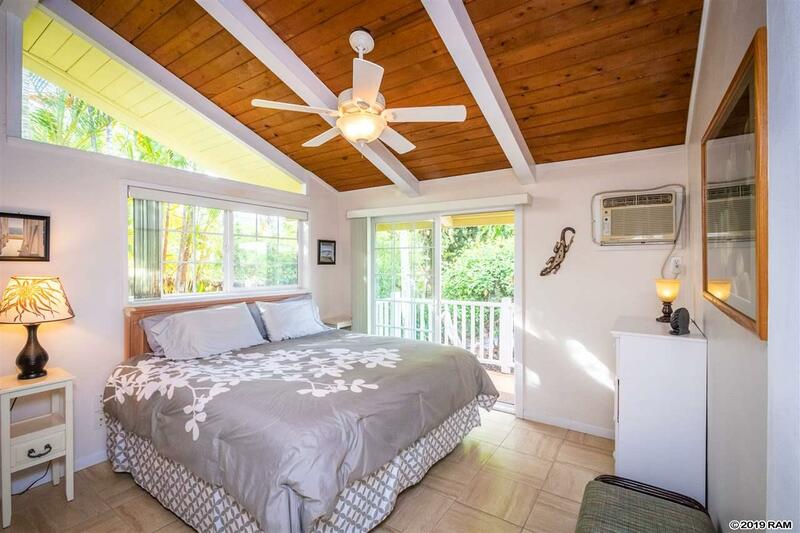 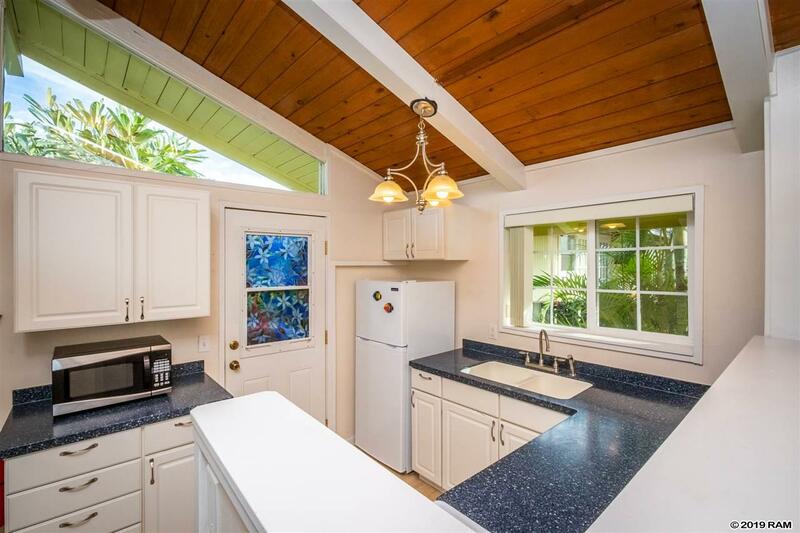 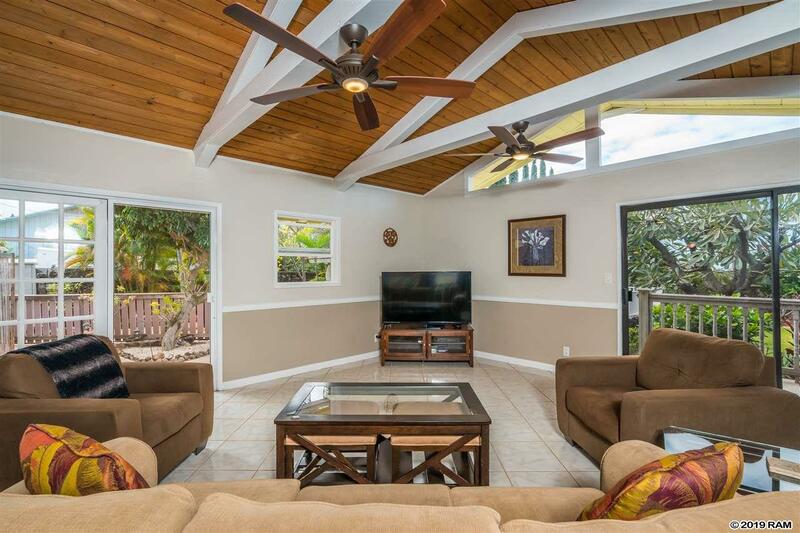 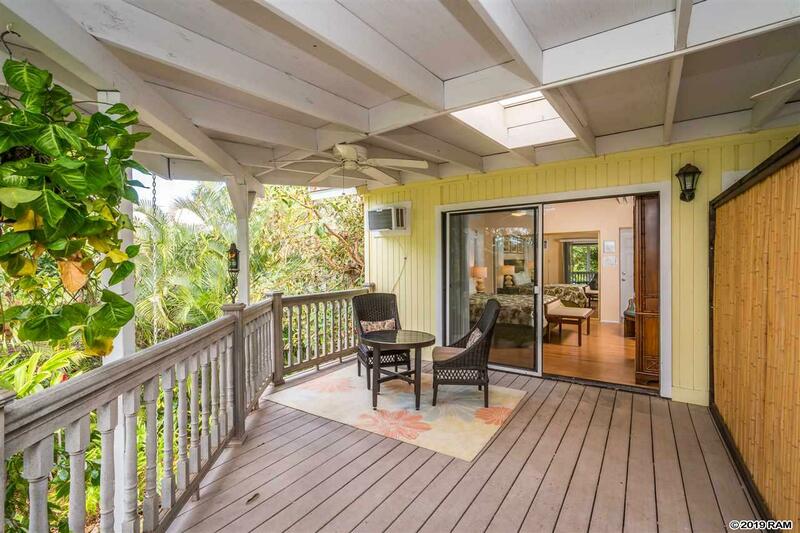 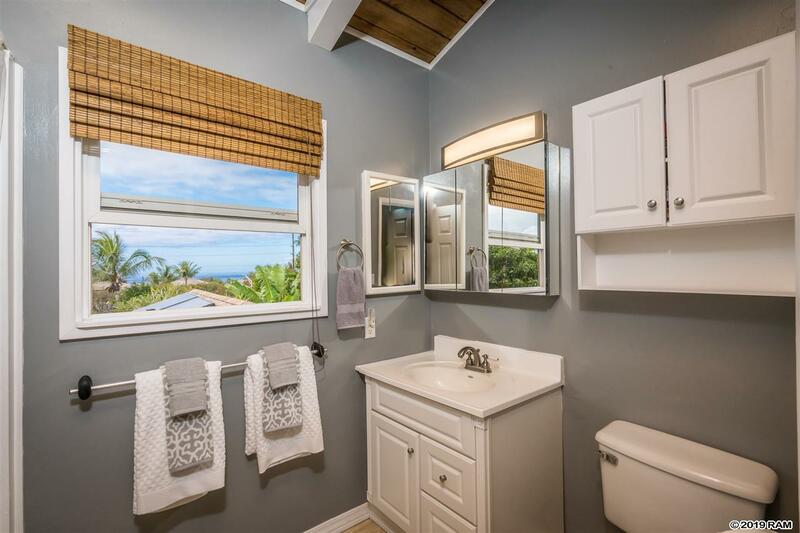 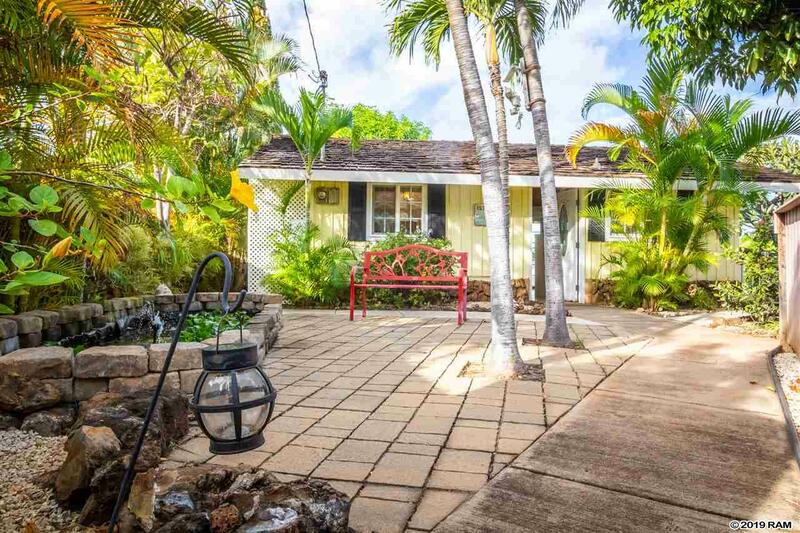 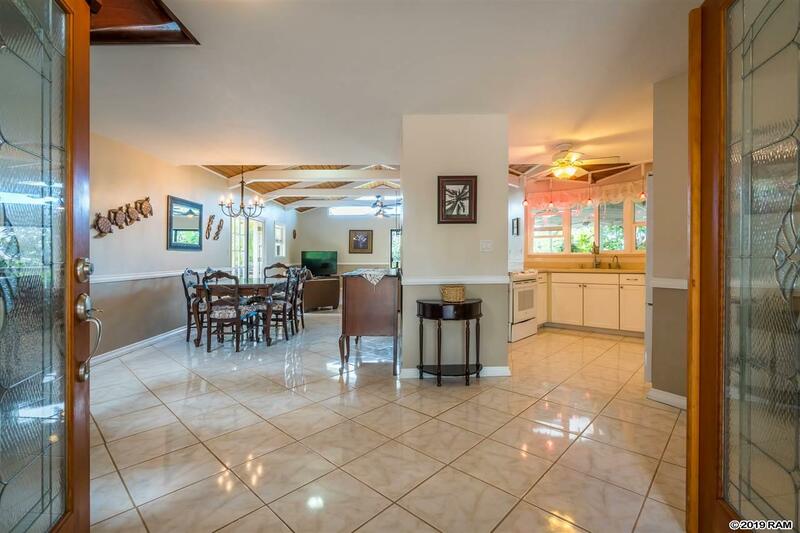 The detached cottage is a 1 bedroom, 1 bath with large lanai. 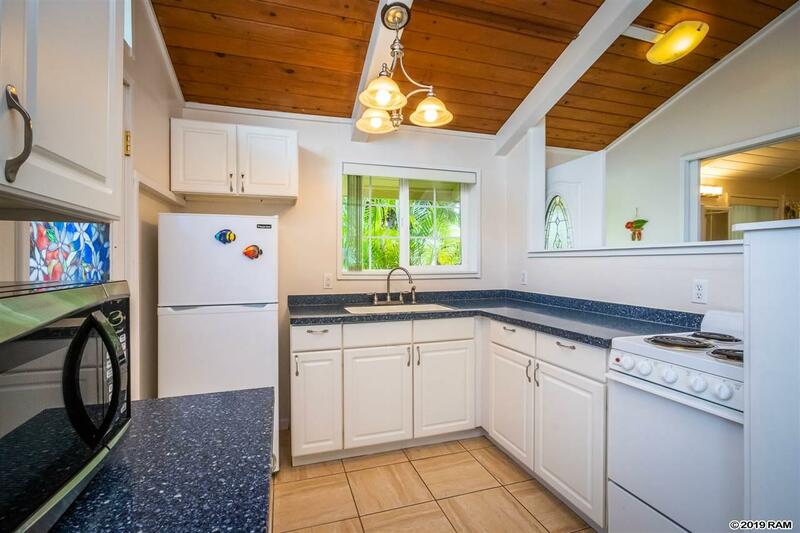 Main home has new roof, freshly painted interior, solar hot water heaters, patio and large deck. 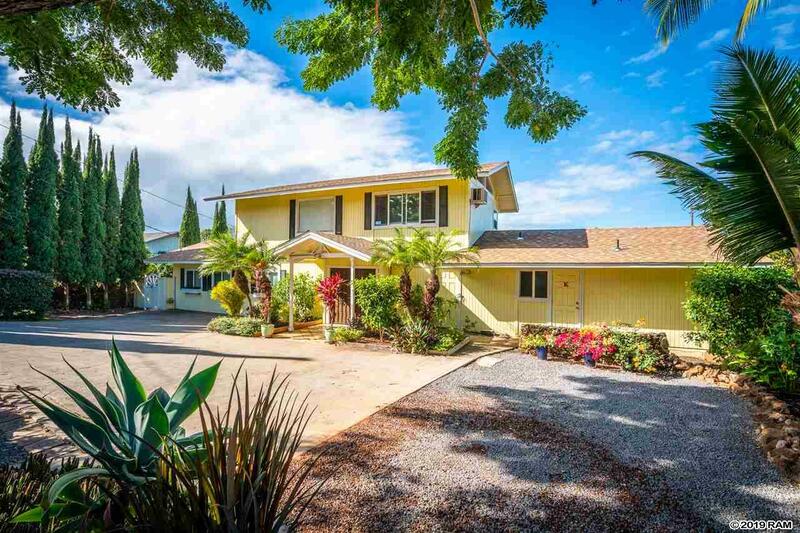 Home has a flexible floor plan and rental potential with multiple living options and is currently being operated as a legal B & B. 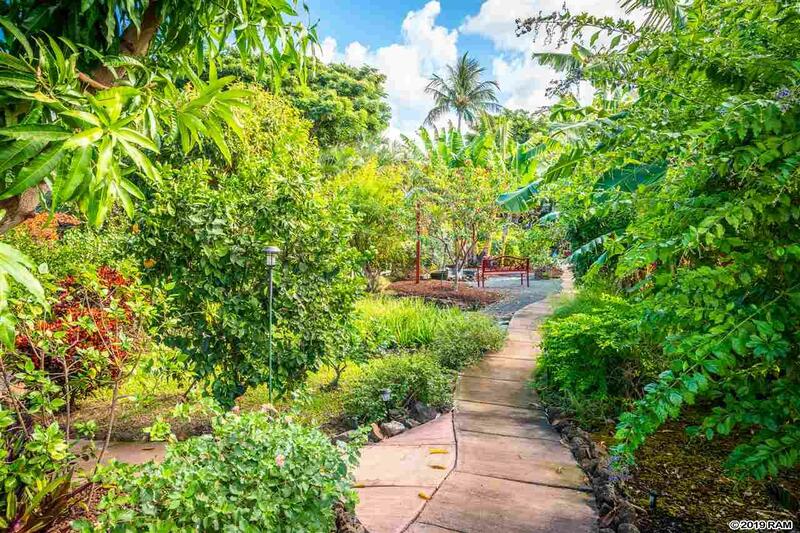 Numerous fruit trees - mango, lemon, lime, fig, papaya, orange, tangerine, banana, avocado, pomegranate and more! 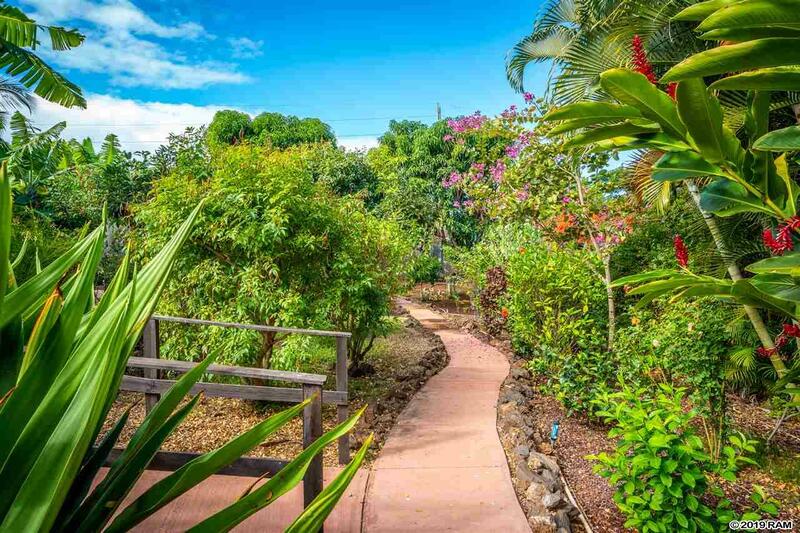 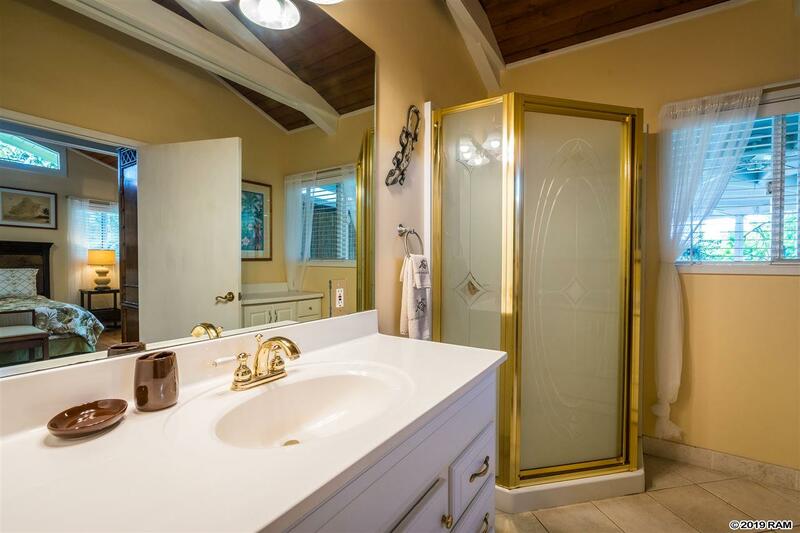 Other features include: ample off street parking, outdoor shower, multiple garden areas, walking paths, storage sheds, fully fenced back yard, and rock wall along front of property. 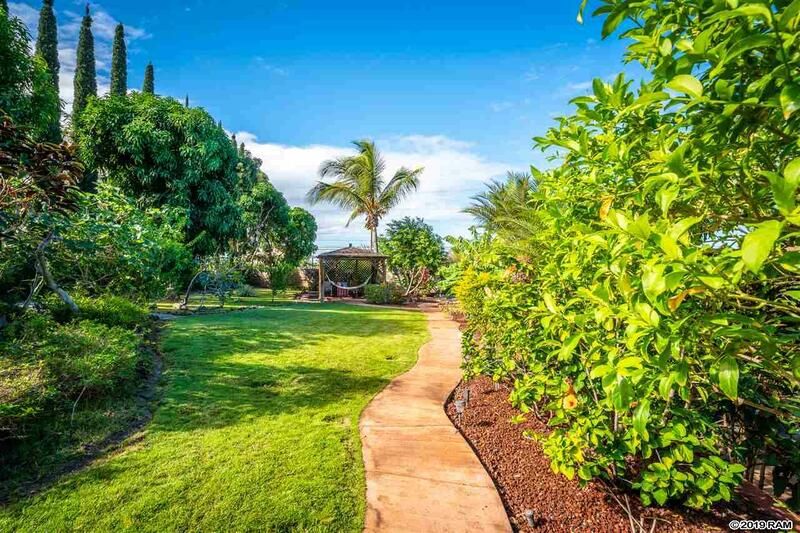 Don\'t miss this amazing opportunity to own a piece of Maui Paradise! 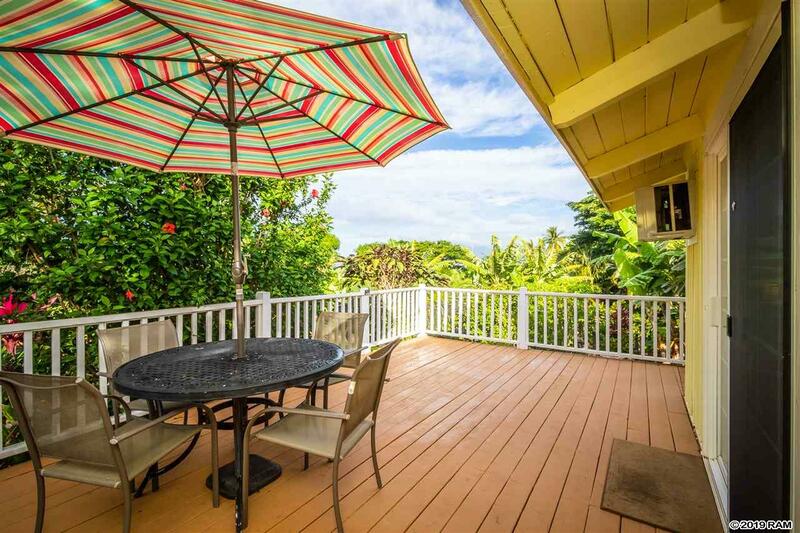 Testimonial: "We would like to thank you again for the wonderful job that you and your wife have done to help us buy the condo in Maui…" More testimonials.